Of the top 10 firms on the Nasdaq in 1999, only 3 were still in the top 10 in 2018. Digital disruptors, emerging technologies and new buying behaviors are changing your relationship with your customers. Your choice is to evolve to become a disruptor yourself or watch your market share tumble. For more than three decades, ISM has helped clients create customer-centric strategies that tightly link to their organization’s overall business goals and strategic direction. The result is increased ability to leverage sales, marketing, and customer service to drive customer acquisition, growth and retention. Digital Transformation: Business is changing at digital speed. Technologies and communication platforms that didn’t exist a few years ago are changing buyer behavior and altering the customer journey forever. Strategies can focus on the entire digital transformation experience or within individual areas such Digital sales, marketing and customer service transformation, eCommerce enablement or omni-channel management. Customer Relationship Management (CRM): CRM enablement of sales, marketing and customer service is a critical element of any modern customer-centric strategy. With over 30 years of successful experience, ISM provides the Gold Standard of CRM strategies. Social Media Communities: Social media has changed the way customers buy products and services and changed the relationship they expect from their vendors. ISM’s proprietary approach to the development of private branded communities drives exceptional customer acquisition and retention results. Customer Engagement: Customers can now engage brands across limitless devices and touch points. 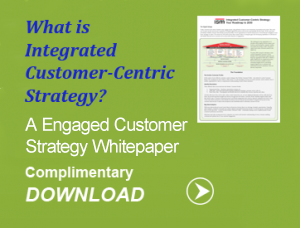 ISM’s Engaged Customer Strategy framework and implementation methodology has been successfully used by some of the world’s best-run companies. Additional areas of customer engagement focus include Customer experience, Customer journey mapping, Customer success and Omni-Channel management. Data & Analytics: Leverage information from traditional media as well as expanding digital sources to help you better understand your customers while profitably and proactively managing the customer lifecycle. ISM strategies will focus on providing clarity to the Data Analytics areas most important to your organization (e.g., master data management, customer segmentation, predictive analytics). Emerging Technologies: Effectively leveraging Emerging Technologies can help create better products and services, engage more effectively with clients, significantly drive down costs and stay one step ahead of the competition. ISM strategies help you filter through the vast array of potential technologies (e.g., mobile apps, identity resolution, portals, IoT) and outline an approach that maximizes impact to your customer and your organization. All ISM engagements leverage our time-tested “Top-Down/ Bottom-Up” methodology and our philosophy that successful customer-centric strategies involve 50% People…30% Process…20% Technology to produce optimal results. Vision and Vision Impact Statements: A vision statement specific to your area of focus (e.g., social media, customer engagement) including brief impact statements describing the desired outcomes. Target Customer Segments: Identification of target customer segments, counts, market share and rationale including how to engage customers through specific channels. Customer Needs: Preparation of a summary of key customer needs (e.g., seamless multi-channel experience). Internal organizational customer knowledge may be complimented with customer surveys, focus groups, etc. Resource Needs: Identification of critical internal and external resource needs and gaps including expertise, data and systems. Prioritization of Existing/New Business Initiatives: Enterprise level sequencing of key existing (e.g., sales territory re-organization, new product launch) and customer-centric (e.g., data & Analytics, IoT, Social Media) initiatives necessary to attain the Vision Impact over a multi-year period. For additional information about ISM’s Customer-Centric Strategies, call (301) 656-8448, or e-mail us at sales@ismguide.com.